Lichens are increasingly studied ad precious bio-indicators, i.e. living indicators of the pollution level in the atmosphere: in non polluted areas numerous lichens are present; while approaching more polluted areas (e.g. urban areas) lichens become rarer and grow more slowly, until the so-called “lichen desert” is achieved in highly polluted areas. The lichen response to the environment is so reliable that research conducted in Switzerland developed an “Air Purity Index” (API) leading to very precise estimates of air pollution. 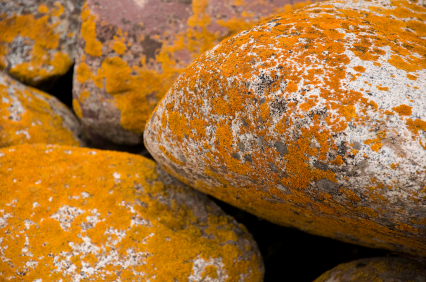 Lichens also act as bio-accumulators since the chemical analysis of the substances accumulated in lichens provide precious indication not only on the degree but also on the type of air pollution.